Cost Per Page is 0.1 Cents Only. Advanced technology that lets you finish printing a critical job even when you're low on ink. 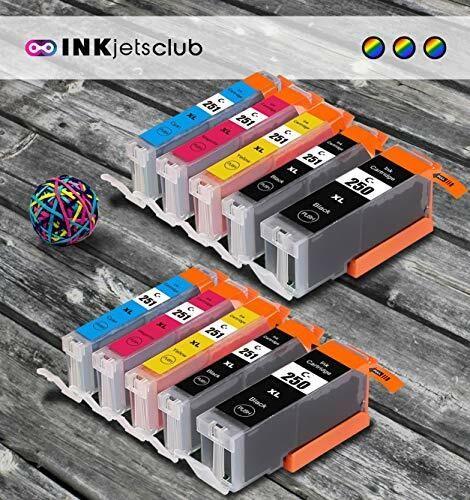 Our Canon 250 and 251 ink cartridges are manufactured in an ISO 9001 & ISO14001 certified facility backed by a full lifetime warranty for any defects.